It is well known that game developer Zynga has been struggling in recent years and now financial experts have recommended that the company focus on real-money gambling in order to improve revenues. After a turbulent year, analysts are recommending that Zynga focuses on real-money gambling to improve revenues. The last six months have seen Zynga’s shares drop more than 21%. The company’s COO, Don Mattrick, was hired a year ago and since then the stock has been pretty volatile. However, analysts believe that the firm can turn itself around. 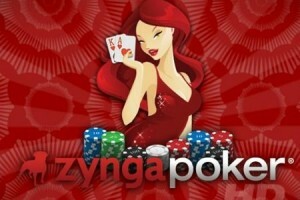 Zynga has been considering focusing on real-money casino gaming for a long time. Mobile gambling is continuing to increase in popularity and there has been significant growth in iPhone gambling in recent times. The company has a UK license to provide real-money gambling and at the moment Zynga Poker is the largest free-to-play online game in the world. The company sent an application to the Nevada Gaming Control Board for a local license last year but later withdrew the application. At present Facebook users in the UK have the option of playing for money but this is a relatively limited market. If Zynga chooses to commit to real-money gambling, it could transform the company, attract a new category of customer, and help Zynga become a stable and permanent presence in the online gaming world.